Super Bowl is this Sunday (February 1st, 2015) - Patriots versus Seahawks! Who will you and your party guests be rooting for? 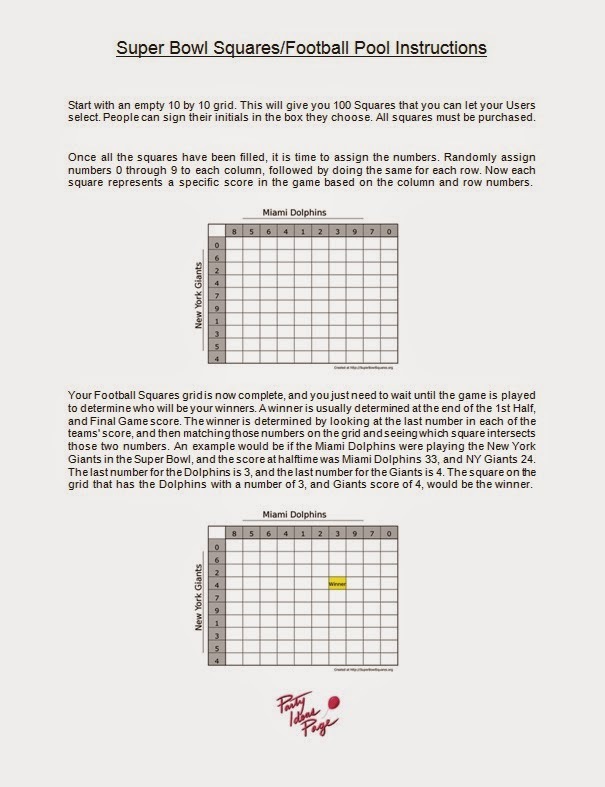 What do you think the score will be? 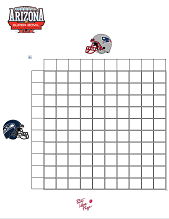 Print out this football pool and have your guests fill in the squares to win some money. For the guests that aren't interested in football, this will entice them to pay attention and get excited about the game.